French Guiana is part of South America's Guianan trinity, along with Guyana (formerly British Guiana) and Suriname (formerly Dutch Guiana). The country not only comprises some of the most pristine section of the entire Amazonian jungle, it has Devil's Island, the notorious prison camp on which the novel Papillon (made into a film starring Steve McQueen and Dustin Hoffman) was based, which is now a tourist site. Its population is sparse (half of it lives in the capital, Cayenne, from where the name of the pepper derives), but it does have the largest economy of the three Guianas, a large chunk of which comes from it being the site of the European Space Agency's activities. Groups convening in French Guiana event venues are likely to be adventurous. The international airport, eight miles southwest of Cayenne, is Cayenne-Felix Eboue Airport (CAY), named for the colony's first black governor. CAY has no direct American connections but does have them to France, Martinique and Santo Domingo, Dominican Republic. 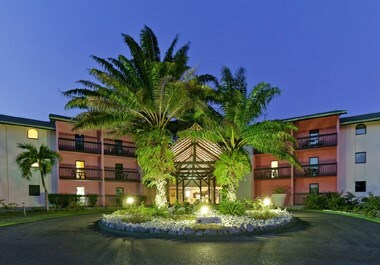 There are no convention venues in French Guiana, but hotel venues in Cayenne with meeting space include the 120-room Best Western Hotel Amazonia, which has three rooms for up to 90 persons; 104-room Novotel Cayenne, which has meeting space for up to 50 persons; the 44-room Hotel Central de Cayenne, which has two small meeting rooms, and the 12-room Ker Alberte, the city's boutique spot, which has pool and garden areas for events. Near to the space station in Kourou is the 101-room Hotel Atlantis, which has a large events hall, as well as a tropical patio, a pool and a lake. Venues in French Guiana, where it is possible to arrange events, will be either in Cayenne or Kourou, unless groups want to get adventurous in French Guiana's ample wilderness. In Cayenne, there are the Felix Eboue Museum, Museum of Guyanese Cultures and Musee Departemental de Franconie, which contains the attractive Butterfly Room. Not one has a website, but all have reception rooms and small galleries for events. 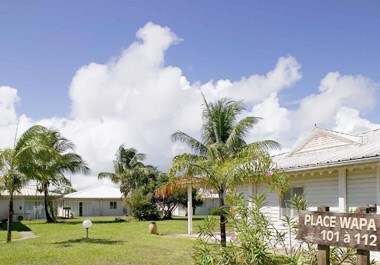 The European Space Agency Space Center at Kourou, 50 miles northwest along the coast from Cayenne, does organize tours for those who write ahead of time and has a museum where events can be hosted, while a natural spot back in Cayenne is the lush Jardin Botanique, or Botanical Garden. The Place de Palmistes has Cayenne's best and liveliest restaurants and surrounds a square featuring a statue of Felix Eboue. Restaurants there include Restaurant La Petite Maison, the Middle Eastern Restaurant Egyptien Les Pyramides and La Taverne. In the Ker Alberte, there is a great restaurant, but it is open only for lunch, while on the other side of the peninsula that contains Cayenne is La Residence Montjoyeux les Vagues, a great (if sometimes not over the top) hotel with 20 guest rooms and a restaurant serving French and Creole dishes. There are no current promotions in French Guiana.